“Downtown” Stockholm is synonymous with the phrase “innanför tullarna” or “inside the tolls.” Stockholm’s form has been directly shaped by many factors including politics, geology, and city planning, but nothing defined Stockholm’s boundaries more than the tollhouses and the accompanying toll fences. Even though the city toll was abolished in 1864 and the fences were quickly demolished, a clear demarcation line where “city” ends and “suburb” begins still encircles the city. The red line shows where urban development stops and transitions to suburban development. The yellow line shows where the toll boundary differs from the perceived "city" boundary. The perceived boundary differs only slightly from the actual boundary. Since its inception, Stockholm has had the right to charge tolls on passing ships and on the cargoes that were unloaded in Stockholm’s harbors. The tolls were called sjötullar or sea tolls. It wasn’t until 1622, however, that a toll on domestic goods entering big cities was created in order to increase national revenue to support the era’s continual warfare. Domestic goods arrived to the city by land in addition to the sea routes, so the domestic toll was called the Landtull or the Land Toll. 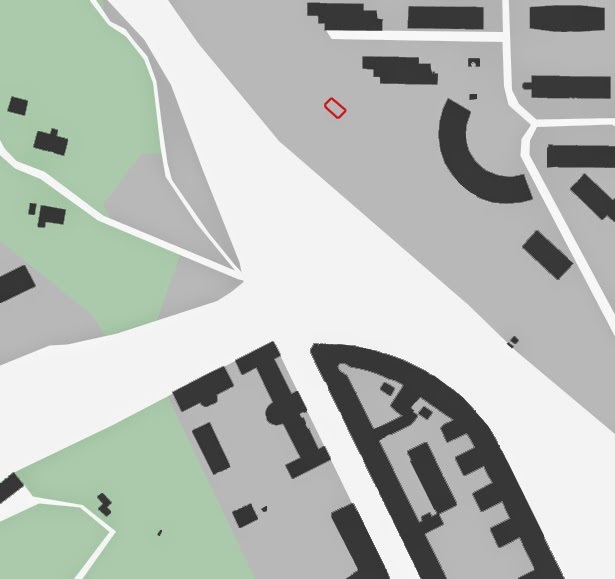 It is the domestic Land Tolls that have had the biggest impact on Stockholm’s boundaries. The Land Toll was excised on just about everything—food, alcohol, textiles and clothing goods, livestock, wood products, metals, and more. The toll was 1/32 or about 3%, so it was fairly low compared to today’s sales taxes. Even so, the Land Tolls were a hated institution, especially by the nobles because they were not excused from paying the Land Toll as they were excused from paying other taxes. The people’s anger was often directed at toll inspectors who were sometimes violently molested. To curtail the increasing violence, King Gustav II Adolf instituted the death penalty as punishment to anyone who molested a toll inspector. Smuggling, especially of snaps, was of course an art form. Double-bottomed milk containers, hollowed timbers, false-bottomed wagons, and goods hidden under piles of laundry were common methods that still sound familiar today. We know that in 1639, discovered smuggled goods coming through the toll gates amounted to about 1% of the total declared goods. There is no guessing how much was smuggled by other means than through the toll gates—toll fences were generally low and not of the sturdiest construction, and in 1726, the “enlarged” toll force was only 80 people to man the tolls, keep records, and maintain and patrol the fences. Smuggling over land was probably much easier than smuggling by water. Except for a narrow channel leading past the tollhouses, waterways were purposely blocked by heavy chains and by lines of poles driven into the mud. One place name in Stockholm recalls these blocked waterways—Pålsundet between Södermalm and Långholmen translates literally to “Pole Strait.” (Interestingly, this technology for blocking waterways has been around at least since the Viking times, when Vikings protected their home islands by stringing heavy iron chains between poles which were submerged in the water. Attacking boats were unable to reach land and often sank as a result of the invisible poles and chains. Friendly merchant ships had to pay a local guide who knew the safe route through the poles.) Waterside toll stations were armed with fast boats that could catch up to laden boats that tried to sail by unnoticed. However, the protections against waterborne smuggling would only have worked during the summer, and I would guess that smuggling over the ice in wintertime would have been fairly rampant. Because the most convenient routes changed depending on the time of year, some tolls closed during the winter while special tolls at convenient routes over the ice were only open during the winter (see Danvikstull and Vintertull below). Temporary fences on the ice blocked access to the city and directed traffic through the winter toll stations. When the Land Toll was initially instituted in 1622, Stockholm was geographically quite small and only had about 9,000 inhabitants. The tolls moved outwards on several occasions as the city expanded and as the king donated additional land to the city. The tolls reached their “final” locations by 1699 when the population stabilized at around 50,000 people; these toll locations didn’t change until the Land Toll was abolished in 1864. During that century and a half, the tolls made an indelible mark on the city, and Stockholm’s perceived boundaries still generally follow the toll fence’s contours. Tollhouse and fence locations through time: Green = 1620's. Red = 1650's. Yellow = 1699. Blue = 1800's. Today, the name Norrtull (or North Toll) lives on as a busy traffic intersection. Just inside the toll gates, the dense city grid begins, while just outside is a railroad, a busy seven lane highway (in the process of being dug into a tunnel), and a large cross street crossing over the highway and railroad tracks on large bridges. The large cross street heads into the suburbs and was historically the main route out from the city to toward the north. Historically, the land where the railroad and highway are today was low and marshy and unsuitable for development. There was even a small lake called Ormträsket, or “Snake Swamp.” It makes geographical sense that the toll station and fence were just uphill of the marshy area and that the city naturally “stopped” at that boundary. Norrtull is one of few toll stations where part of the building complex is still standing. Like many of the other tolls around the city, Norrtull’s original building was dilapidated and a terribly unimpressive entry to the city when Johan Eberhard Carlberg was appointed City Architect. 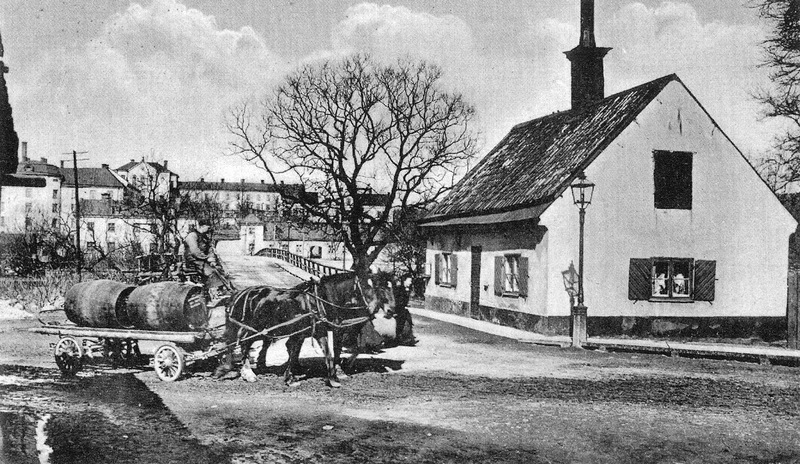 In his effort to spruce up the city, Carlberg replaced several of the tollhouses. However, Nortull was designed to be especially fine in order to due justice to the royal processions that often used that particular city portal on the way from their country palaces to the city. Left: Carlberg's drawings. Right: a drawing for the decoration of the portal for a royal procession in 1823. The original 1733 project included two brick buildings flanking a wooden portal in the form of a triumphal arch, but the arch was quickly demolished after the Land Toll was abolished in order to widen the congested passage. Eventually, even that was deemed too narrow and the road was moved just north of the tollhouses, leaving Carlberg’s buildings stranded in a heavily-trafficked, pedestrian-unfriendly sea of cars. The toll houses in the 1860's and today. Like Norrtull, the name Roslagstull lives on today as a vast, heavily-trafficked, unpleasant intersection of Stockholm’s ring road and a main highway heading north through the Roslag region of Sweden. 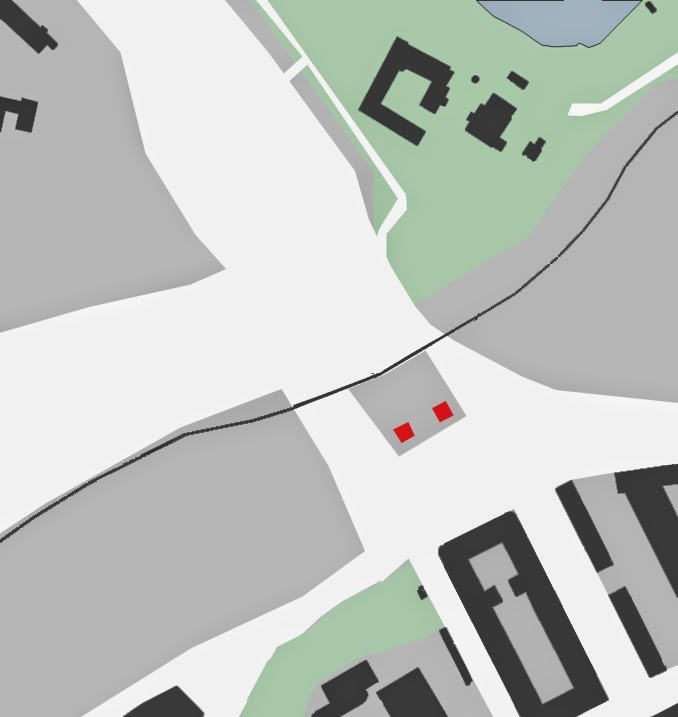 Other than name and the intersection itself, nothing remains of the toll buildings which were replaced several times through the centuries (interestingly, the most recent tollhouse was drawn by Alfred Nobel’s father). The abrupt way in which the city ends and suburbia begins makes tracing the path of the toll fence an easy task. 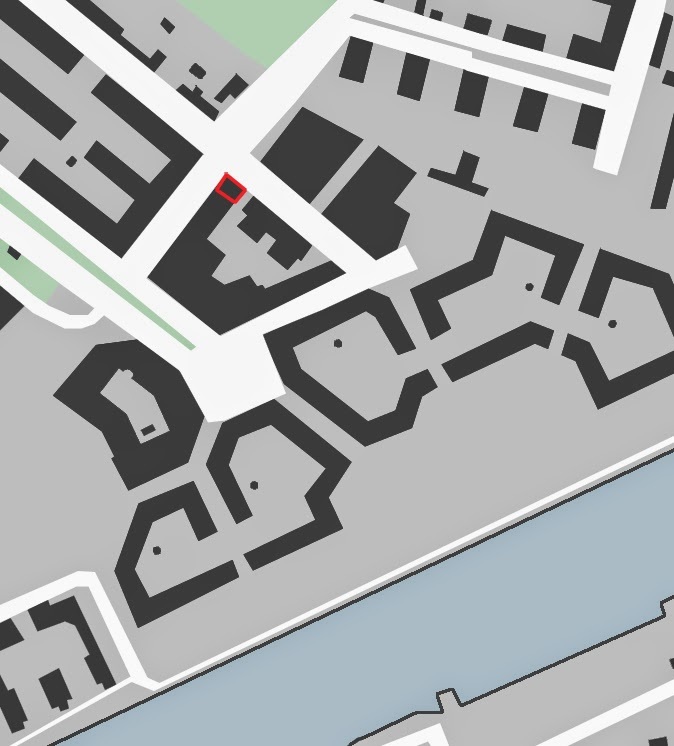 It took quite a while for the city to develop all the way out to Ladugårdlandstull (roughly translates to Barnyard Toll), and the area that far east was known as “Yttersta Mörkret” or “The Farthest Darkness.” The original toll building from the 1670’s was unimpressive to say the least, but in 1832 a second, nearly identical building was built on the other side of the toll gate from the original. Although the buildings are modest in scale and design, the idea was to use symmetry to create a grander city entry like that of Norrtull. 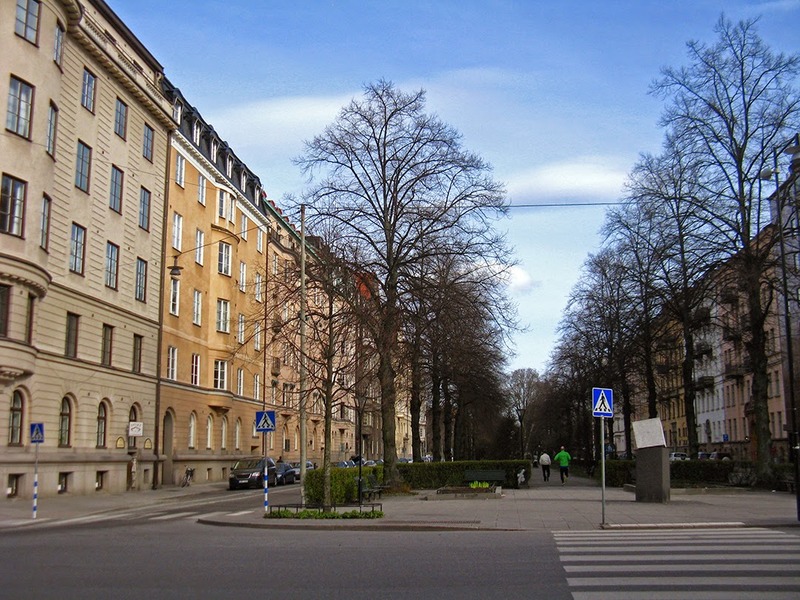 Ladugårdlandstull was located in the middle of today’s Karlaplan, a grand but fairly quiet park-like intersection in Stockholm’s ritziest neighborhood. Ladugårdlandstull continues the theme of Norrtull and Roslagstull in that it is still an important landmark intersection today. However, Ladugårdlandstull diverges from the other northern tolls in that the name was lost and more importantly in that dense city development in the late 1800’s crossed the boundary past the toll fence and today’s city/suburb transition occurs two blocks past the traditional city boundary. Stora Sjötullen translates to “The Large Lake Toll” and it is named so because of all of Stockholm’s water tolls, Stora Sjötullen was the most active and thus the most important. Stora Sjötullen is far, far outside of downtown Stockholm, so it is quite an exception to the rule that the toll stations defined the edge of inner Stockholm. 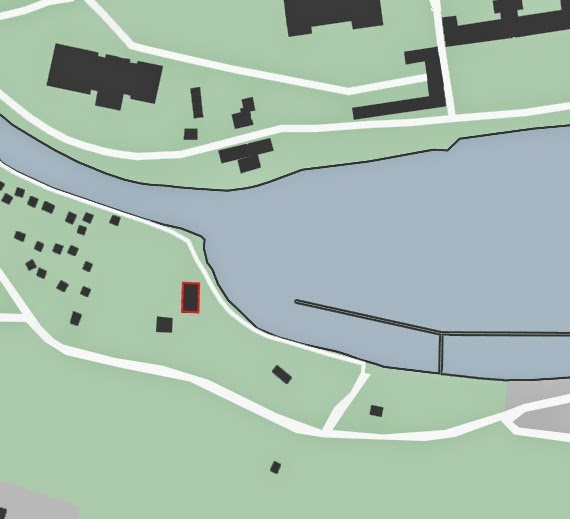 However, Stora Sjötullen was located at the narrowest point of the main sea channel into Stockholm. The great majority of international and domestic goods arrived through this channel; only the most local domestic goods would have entered the city through the other toll stations. The original toll building was destroyed by a fire in the middle of the 1720’s, and City Architect Carlberg’s new brick building was ready for use in 1729. The size and grandeur of Stora Sjötullen is indicative of this toll station’s importance as a point of entry to the city. 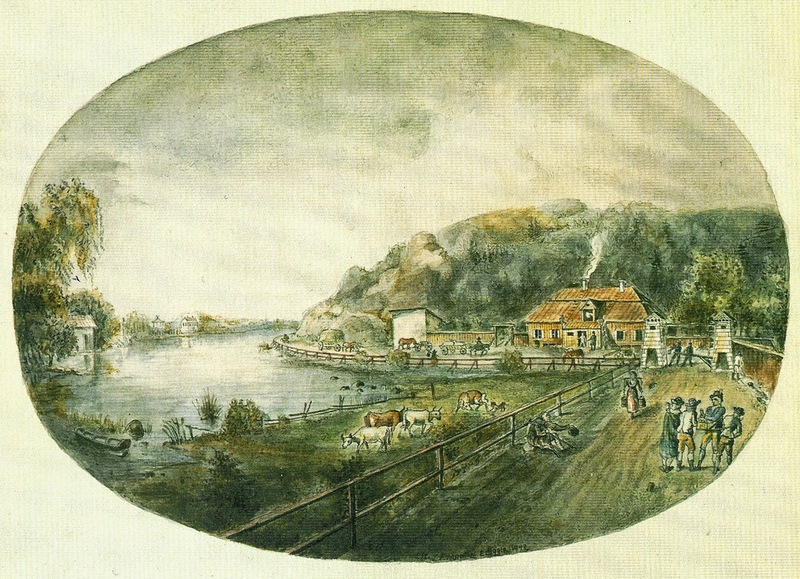 Carl Johan Bilmark's 1834 lithograph shows that Storra Sjötullen was busy then; today, the tollhouse is an apartment building, but the channel is still bustling. 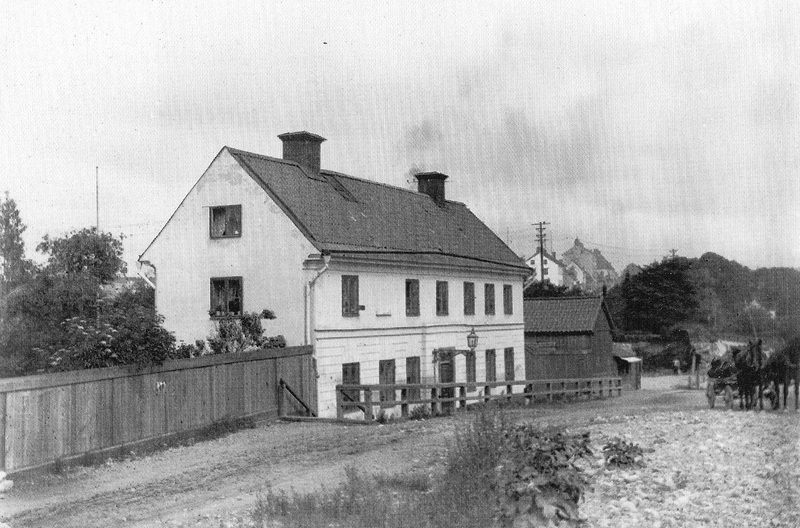 In 1761, Carlberg a second building at Stora Sjötullen, this time a dwelling for the toll inspector. Like the toll house itself, the dwelling is large and striking. The dwelling appears to be the same size and height as the toll house, and they both have the same swooping roof. 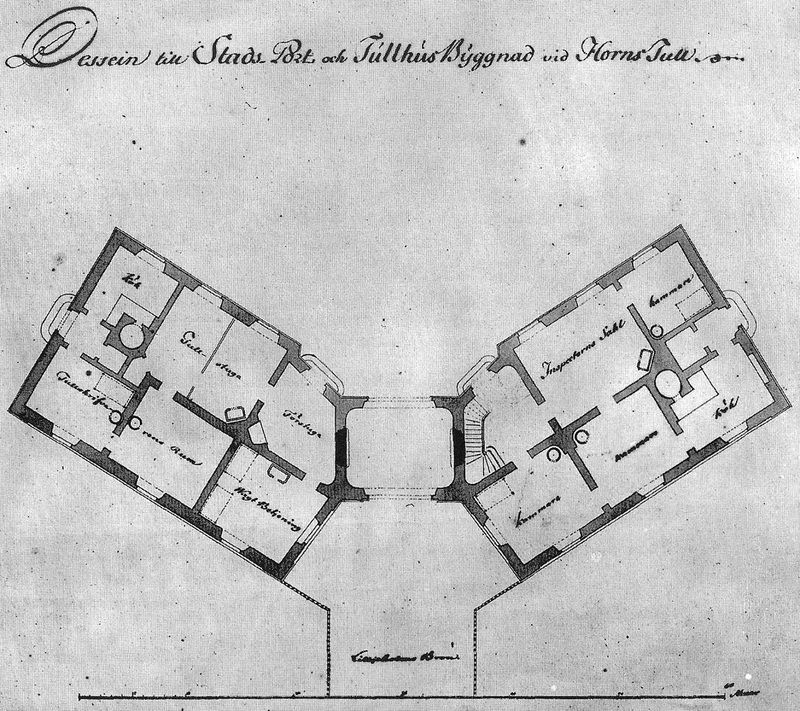 It is clear that Carlberg meant the two buildings as a cohesive composition. “The Small Lake Toll” is both small in size and in importance. Its purpose was to ensure that no ships tried to slip by Stora Sjötullen by means of the Djurgården Canal between the island of Djurgården and the mainland. Given the size and depth of the canal, it is hard to imagine that many ships could have fit through the passage, but the state was interested in extracting taxes off of every possible shipment, no matter how small. 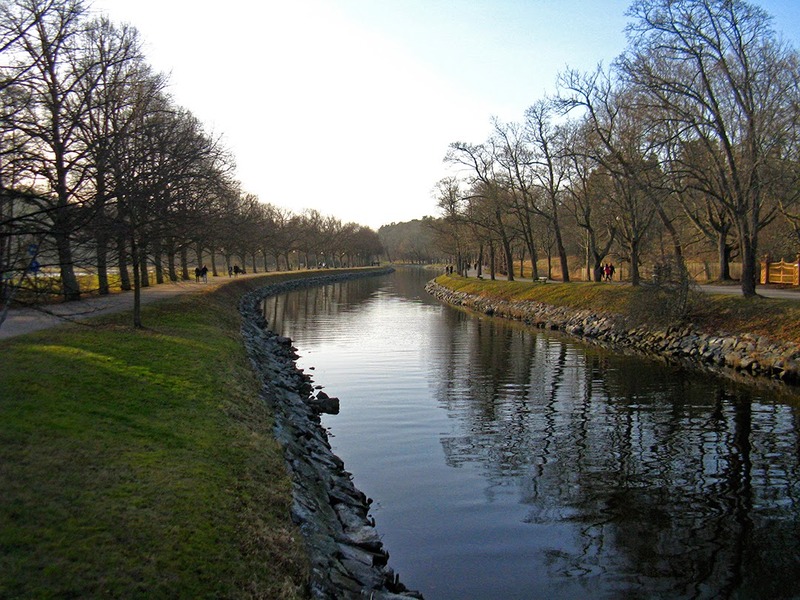 Djurgården Canal wasn’t dug out until 1834, so there was no need for a toll station at this location until that time. The toll house was designed by Captain Johan Oldenburg, and it still stands today. 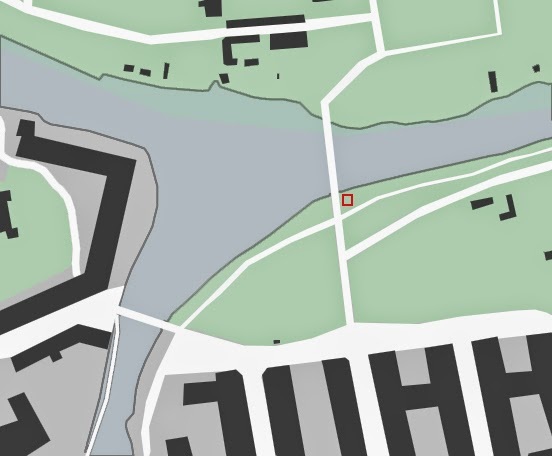 Being so far out of downtown Stockholm and in the middle of a royal hunting ground, Lilla Sjötull has had no visible impact on Stockholm’s urban development. Danvikstull is another place name that lives on in Stockholm, but the name now refers to a wider geographic area by the Danviks Canal and not to one particular place. The toll building and the surrounding blocks were torn down in the 1970’s to make way for a wide, heavily-trafficked road leading eastward out to the archipelago. While Danvikstull does not live on today as a wide intersection like Norrtull, Roslagstull, and Ladugårdlandstull, the highway-like, pedestrian-unfriendly nature of the road leading eastward is similar to the highways at Norrtull and Roslagstull. Also like Norrtull and Roslagstull, the city landscape stops abruptly at Danvikstull and suburbia with spread-out development beings on the other side of Danvik's Canal. Left: Danvikstull from a nearby hill. 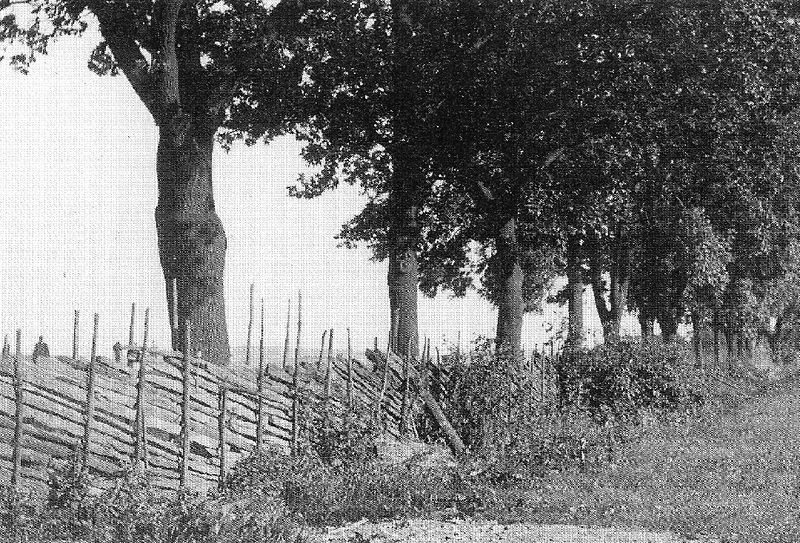 Right: The large Värmdövägen now covers the area where the tollhouse once stood. Danvikstull was a minor tollhouse—it was only used by archipelago residents who generally travelled to Stockholm by boat. During the winter, the ice forced them to travel by land, but they crossed the ice at a more convenient location a bit to the west of Danvikstull (see Hamarby Vintertull below). Danvikstull would only have been used by the very few archipelago residents who travelled to Stockholm by land in the summer. The minor status of Danvikstull was echoed by its architecture. Like Norrtull, it was replaced by City Architect Carlberg in 1733. However, Carlberg’s new building was a simple, wooden structure with absolutely none of the pomp of Nortull’s buildings. 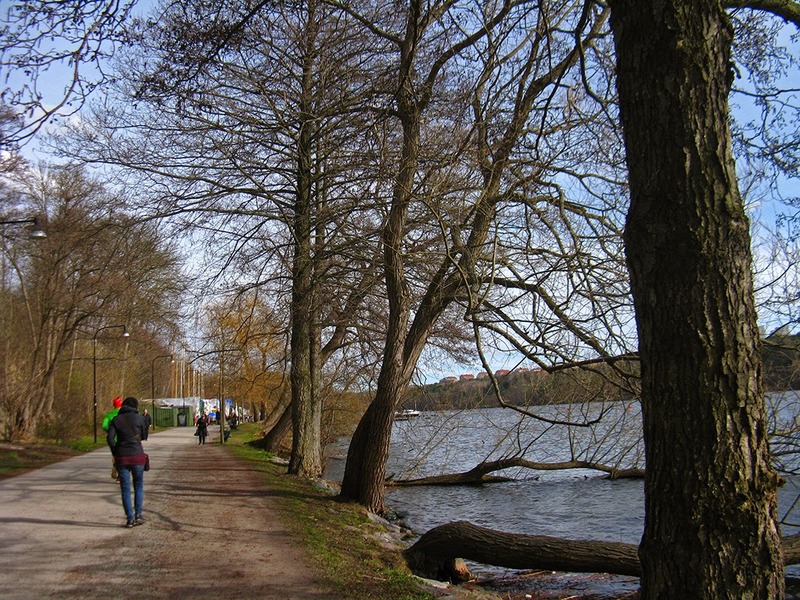 While Danvikstull was only used during the summer, Hammarby Vintertull was only used during the winter when archipelago residents crossed the ice of Hammarby Lake. 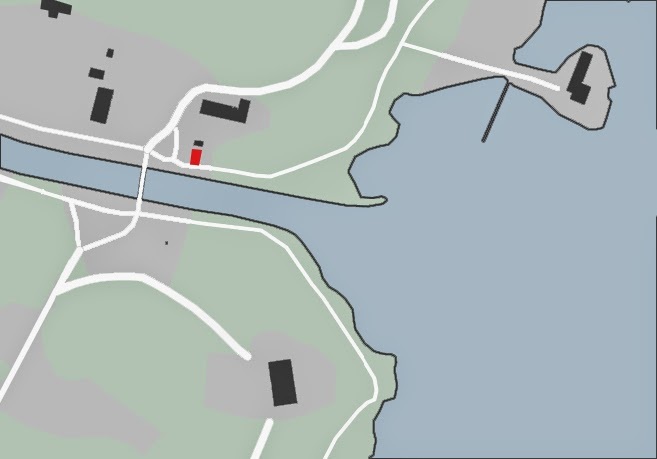 The location of the toll seems a bit strange today as it is several blocks inland with no view of the water. 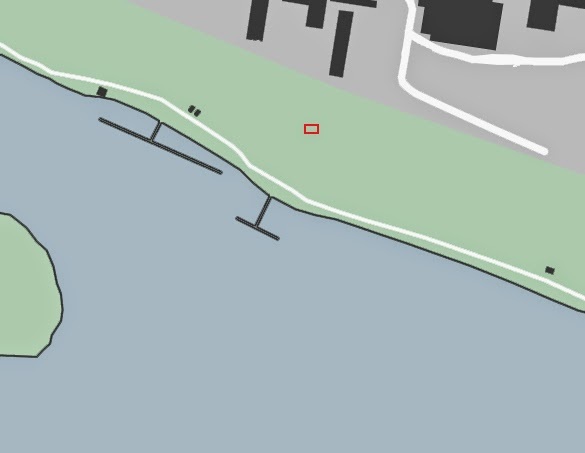 However, when the toll was in use, its location was beside the water; large sections of the lake were filled in in the 1920’s in order to make the quay accessible for large ships. Left: The view from the toll toward the water is blocked today by modern buildings on filled-in land. Right: Hammarby Canal. 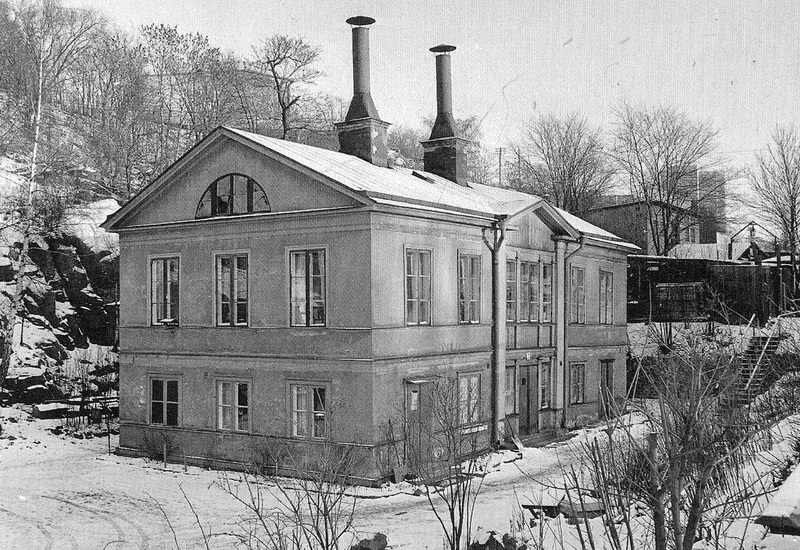 Like most of the toll stations, Hammarby Vintertull had a few generations of buildings through the centuries, the most recent of which was brick. However, nothing survives of Hammarby Vintertull other than the place name Vintertullstorget, or “Winter Toll’s Square.” Hammarby Vintertull does not even mark a busy road or intersection, but perhaps this is appropriate for a toll station that only served as a city entrance from the ice. Hammarby Vintertull was never a bustling spot, and there was never a permanent road or bridge that led to it. Left: The tollhouse in the 1900's. Right: Just across the street, buildings from the 1600's still survive. Although wood, these buildings are similar in design and scale to the tollhouse. In stark contrast to the sleepy location of Hammarby Vintertull, Skanstull is a now a hugely busy intersection and the location where no less than three over-scaled bridges span the narrow point between the island of Södermalm and the mainland. 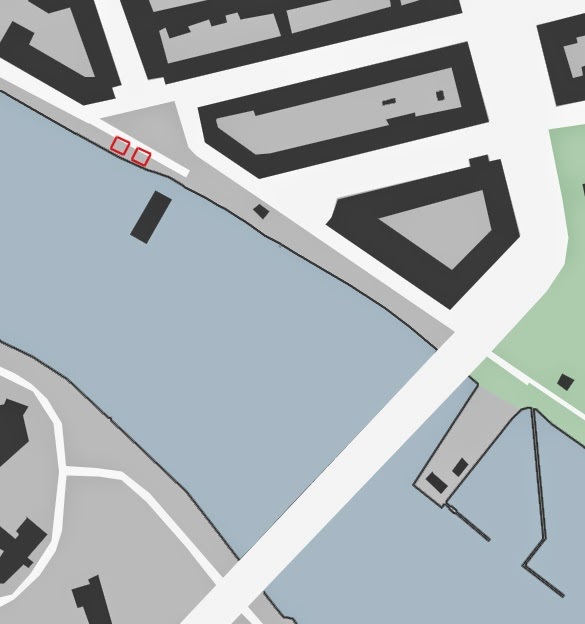 This narrow water passage between Hammarby Lake and Årsta Bay has always been a strategic point and it was the location of a medieval fortress, or “skans,” hence the name Skanstull. The tollhouse was replaced a time or two, and the final tollhouse was demolished in 1919 when the canal and the bridge were built. 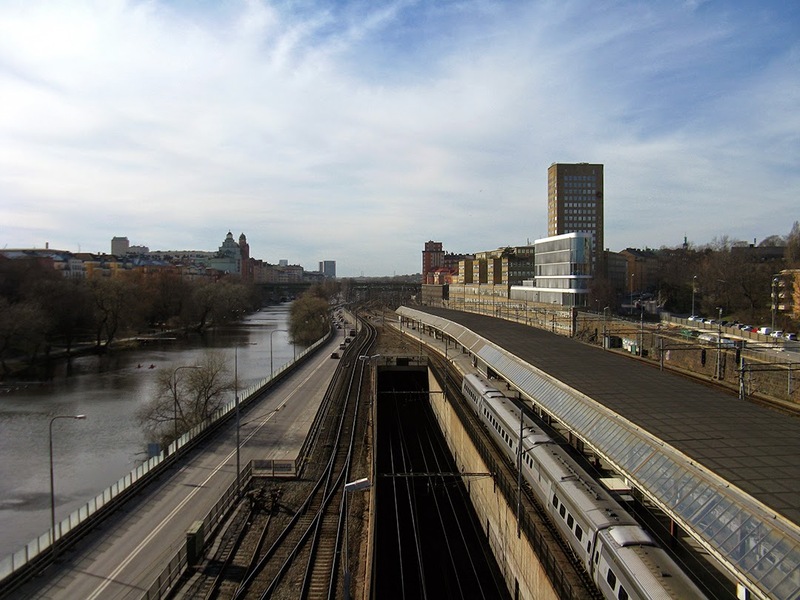 Today, Skanstull is the name of the nearby subway station as well a the name for the area where Södermalm’s ring road intersects Stockholm’s main highway heading south. 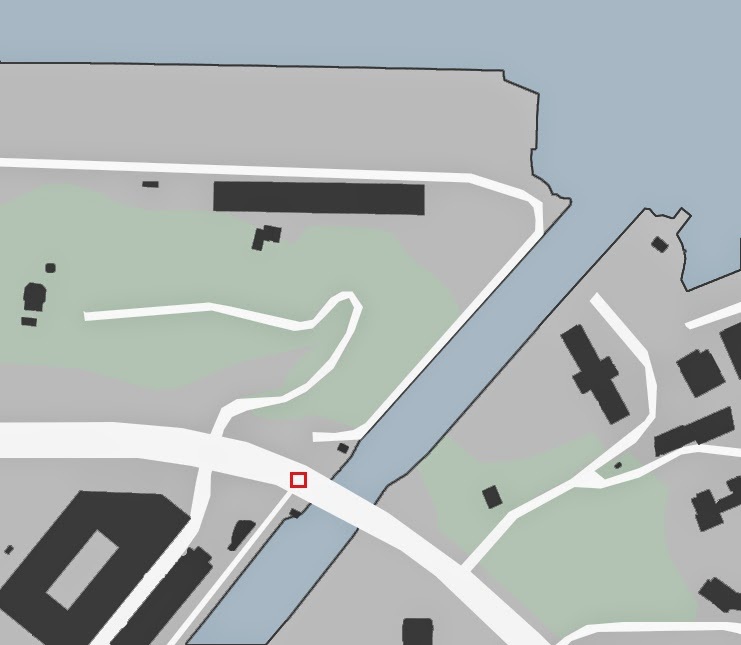 These areas are a couple of blocks from the water where the tollhouse sat, but Skanstull continues the theme of Norrtull, Roslagstull, and Danvikstull where the city abruptly ends and exceptionally busy highways lead from the city into the suburbs. 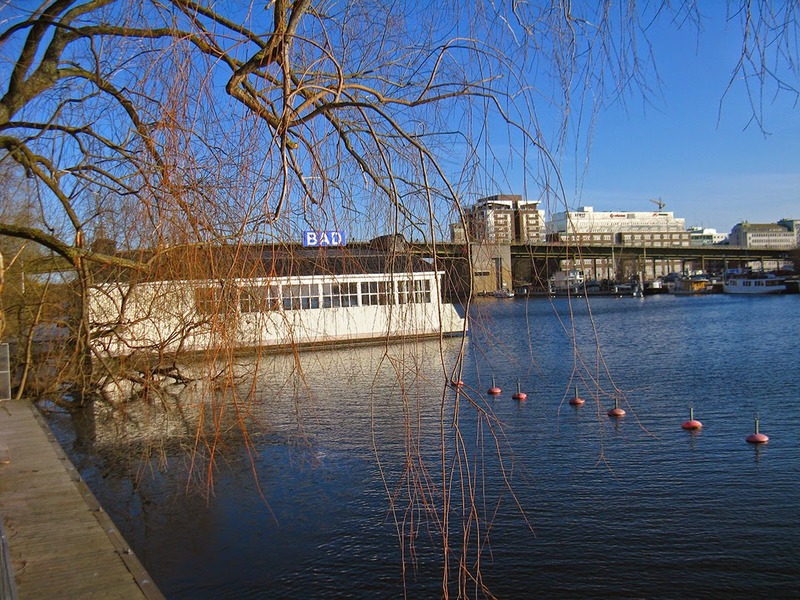 The area around Skanstull is distinctly urban while just across the water is a suburb with spread-out development. Today, there is no trace of Årstafruns Vintertull, not even a place name, and we don’t know exactly where this very insignificant winter toll was located. Like Hammarby Vintertull, Årstafruns Vintertull excised taxes on goods that came across the ice, but in the toll station’s 200 year history, there are only a few recorded instances of taxes being collected in this location. Given how infrequently this toll station was used, it is no wonder that this toll station has not had a lasting impact on the city. While there is no trace of Årstafruns Vintertull, the opposite is true of Hornstull: the place name survives as a subway stop and as a neighborhood name, an important and heavily-trafficked bridge from the mainland to Södermalm lands in the area, and there is a large and important intersection in the area. However, what is known as Hornstull today is actually a block east of the toll station, of which there is very little trace. 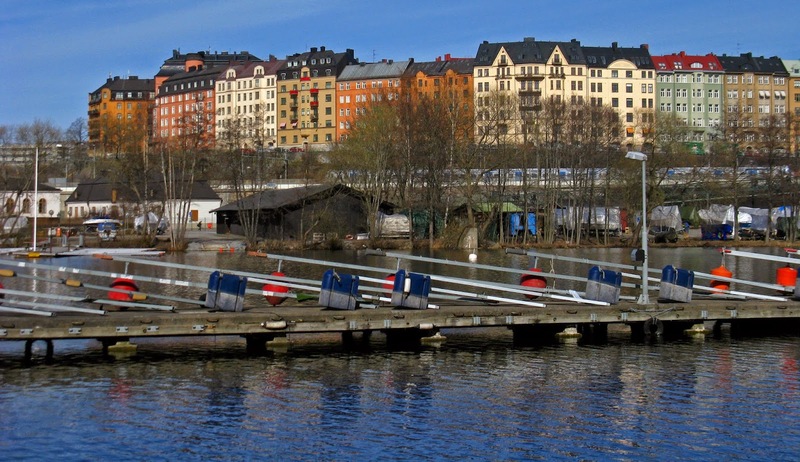 As soon as the first pontoon bridge from this area of Södermalm to the mainland at Liljeholmen was built in 1669, the road leading into Hornstull was Stockholm’s main southern entry point. Like Norrtull and Danvikstull, City Architect Carlberg decided that the toll building at Hornstull was too dilapidated and too unimpressive to represent the city of Stockholm and that it should be replaced. However, the toll station wasn’t replaced until 40 years later when Olof Tempelman designed a new toll station in 1777. Tempelman followed Carlberg’s idea and the new Hornstull consisted of two brick buildings flanking a central triumphal arch port. This time, the central port was made of stone, and the flanking buildings were at an angle which formed a forecourt just inside the city’s boundary. Like Norrtull, the passage through the arch eventually became too narrow, and it was demolished in 1905. In 1915, the pontoon bridge was replaced by a permanent bridge, but the new bridge was located a block east of the toll station and traffic no longer passed between the two remaining toll buildings. The nearby industries went bankrupt in the 1920’s, and when the area was redeveloped in the early 1930’s for housing, architect Ivar Engström acknowledged the forecourt that the angled toll buildings created by stepping the apartment buildings back at the intersection in order to create a slightly larger and more formal square between the apartment buildings and the toll houses. Although the toll houses were demolished in 1933, the square remained. Sadly, today, the square is a small, underutilized playground and the square’s presence and form has been curtailed by a small parking area. The potential is there, however, for the square to be reclaimed from the cars so that it can be redesigned into the small urban oasis pocket-park that Engström no doubt envisioned. Left: The forecourt is sadly a parking lot today, but the stepped-back gesture in the facades above the forecourt remain. Right: The view from one block up down to the water. A sidenote: In 1929, a floating bathhouse with lap pool, sundeck, and sauna was built in the approximate location of the demolished pontoon bridge. Liljeholmen bathhouse is still in operation today. The canal between the islands of Södermalm and Långholmen is called Pålsundet, or “Pole Straight.” It was strung with poles, blocking ships from using the canal to escape the toll station located on the other side of Långholmen. However, in the winter, one could easily use the ice as a covert entry for sleds full of goods into Stockholm. 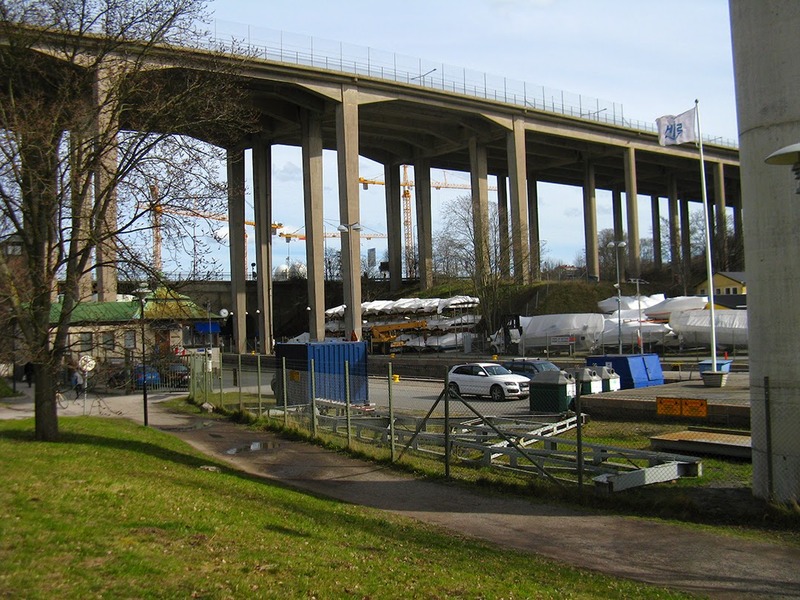 To prevent this, a small winter toll station was built at the Södermalm side of the bridge to Långholmen. The toll building was replaced at least once through time, but it was demolished in the 1900’s to allow the expansion of the waterside road. Despite the expanded road, the area around Långholmens Vintertull is still fairly sleepy, and the surrounding blocks are parkland instead of dense development. Långholmens Vintertull seems to fit the pattern of winter tolls—they were too infrequently used and their season of use was too short to have a lasting impact on Stockholm’s character. Left: The tollhouse area today. Right: The Pålsundet canal. Långholmen sjötull or “Långholmen Lake Toll” kept watch on the wide stretch of water between the islands of Långholmen and Kungsholmen. Most of this passage was blocked by poles, forcing ships close to the toll station. Långholmen sjötull was an important toll station because it was the main route from the iron mines and farms in the west to the city. The original tollhouse is a timber building from the 1600’s, and it faces northwest with a clear view of the water and any ships that might be sailing in. The building’s facades were extensively “modernized” in the 1800’s, so it is hard to distinguish the building’s original character. Before its renovation, the timber toll house had become dilapidated, and in 1785, the toll station moved to a grander stone building that was already standing just a bit to the west. The newer location has a similar, clear view of the channel. A few of the accompanying sheds and outbuildings are still standing around the main building. Långholmen was never extensively developed, probably due to the large prison located on the island. 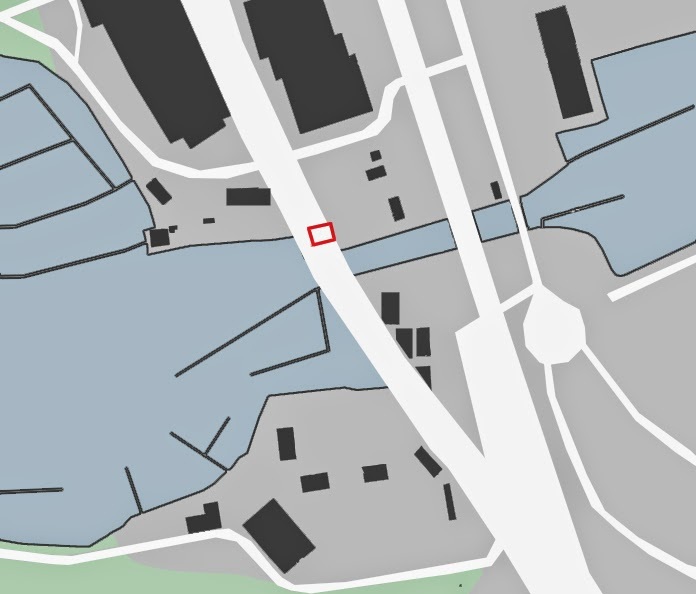 Being an out-of-the-way toll station that guarded a waterway, Långholmen sjötull didn’t have a lasting impact on Stockholm’s development. The toll fence through the middle of Kungsholmen followed the approximate path of today’s street St. Eriksgatan. 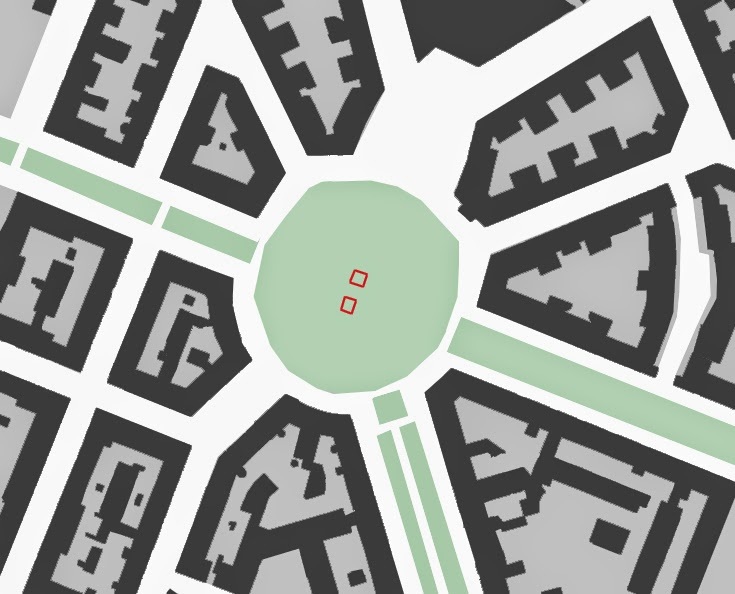 Just one block west of St. Eriksgatan, the dense city landscape quickly dissolves into a suburban pattern of development with spread out buildings. Two sides of the same block of Fredhemsgatan. To the left, inside the tolls. To the right, outside the tolls. Kungsholms Tull was located at today’s Fridhemsplan, a busy street junction and a major subway station where two lines cross. Just inside of the old toll fence, the streets are busy but urban in scale and they are quite pedestrian friendly. Also, the subway lines are underground inside of the toll fence. However, just outside of the toll fence, the streets widen to highway-like proportions and the subway pops above ground, creating a large physical and mental barrier. Strolling through the neighborhoods inside of the fence is a pleasant way to spend an afternoon, but walking outside of the toll fence is fairly unpleasant and the stroll becomes a task. Drottninggatan inside the tolls with a busy but pedestrian-friendly street design, and Drottninggatan outside of the tolls where walking becomes a chore. The abrupt transition between city and suburb is quickly being erased, however, as a huge development to the west of Fridhemsplan and extending down to the water at Hornsberg is nearing completion. The development is so new that google maps’ satellite images still show empty lots, parking areas, and construction zones instead of the dense, city-like development that has sprung up in the last couple of years. It took 150 years after the toll fences were demolished, but “downtown” Stockholm is just now extending past the Jungsholmen toll house. There apparently wasn’t much need for a toll station at Fridhemsplan until a new bridge and road was built to the royal palace of Drottningholm in 1787. The original toll building was replaced in 1832 by then City Architect Carl Christoffer Gjörwell. The same apartment building is visible in the photo from the 1910's and in my recent photo. Note how the street in front of the tollhouse has changed location. Beyond the urban disintegration past Fridhemsplan, it is also interesting how the city grid shifts at the same location. Inside the old toll fence, the city grid follows the lines from the original city plan of 1636. But outside, the grid shifts and disintegrates. Gjörwell’s toll station was demolished around 1918 in order to make way for the broadened traffic intersection at Fridhemsplan. If the broadened streets had still followed the original grid, the toll station would have had plenty of space, but the new kink meant that the toll building protruded into the road. Sometimes known as Karlbergs Tull due to its location across the canal from Karlberg Palace (see “Karlberg Palace”), and sometimes known as Västra Sjötull or “Western Lake Toll” due to its location on the western side of town, this toll station extracted tolls from the boats that chose to go through the canal between the island of Kungsholmen and the mainland instead of through the main channel. Given the size and depth of the canal, it’s hard to imagine that any sizable boats with sizeable loads could navigate the narrow channel, but I suppose that enough boats came this way to make a toll station worth the effort. This toll station probably also functioned as a winter toll as there are historical references to a toll gate being set up on the ice and then dismantled when the ice began to break up in the spring. Västra Sjötull is located well outside of the toll fence, but it stood right at the mouth of the narrowest part of the canal. 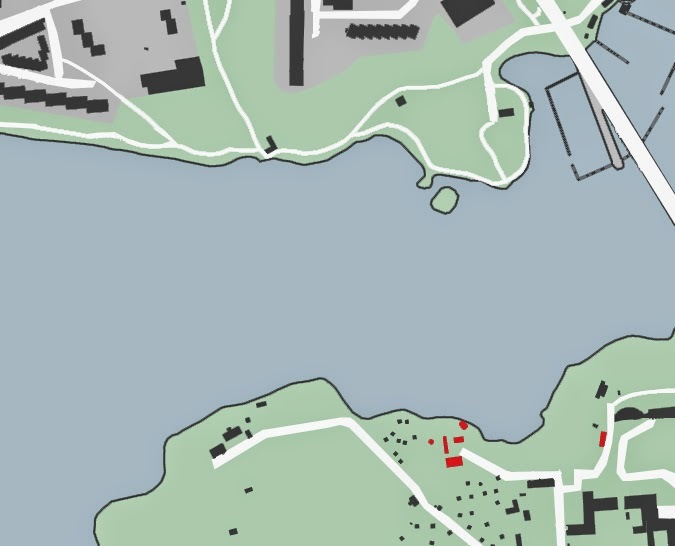 Like the other Lake Tolls, Västra Sjötull hasn’t had a visible impact on Stockholm’s pattern of development. The original toll building was a small wooden cabin, but a larger brick building replaced it in 1750. 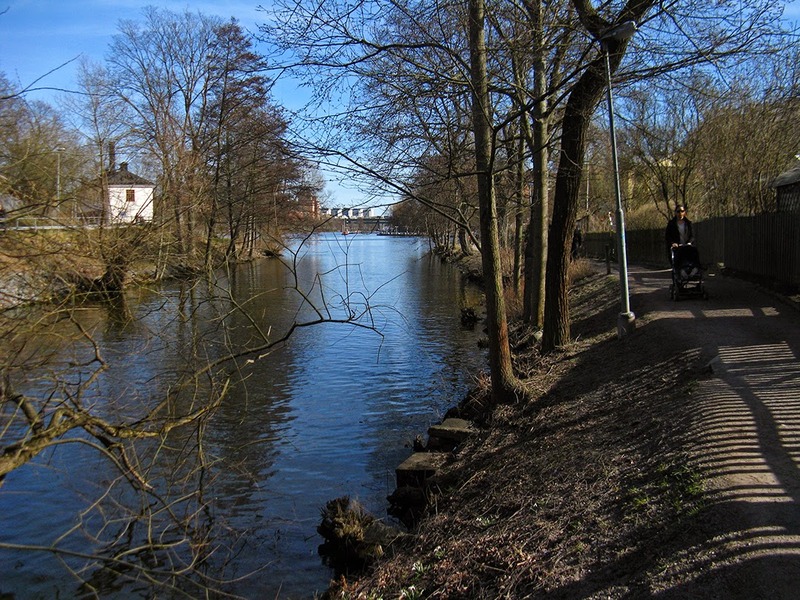 In 1805, Västra Sjötull was moved to the other side of the canal and it was renamed to Sabbatsbergs Tull. The toll buildings are no more, as they were replaced in 1849 by the brick building which stands in the same location today. Even though you can’t see the toll buildings any more, the current building gives a good sense of how the toll building had a clear view of the canal. This building replaced the tollhouse in 1849. As mentioned above, Sabbatsbergs Tull wasn’t active until 1805 when it replaced Västra Sjötull. Like Västra Sjötull, Sabbatsbergs Tull extracted tolls both during the summer as ships passed by in the water and during the winter as sleds passed by on the ice. 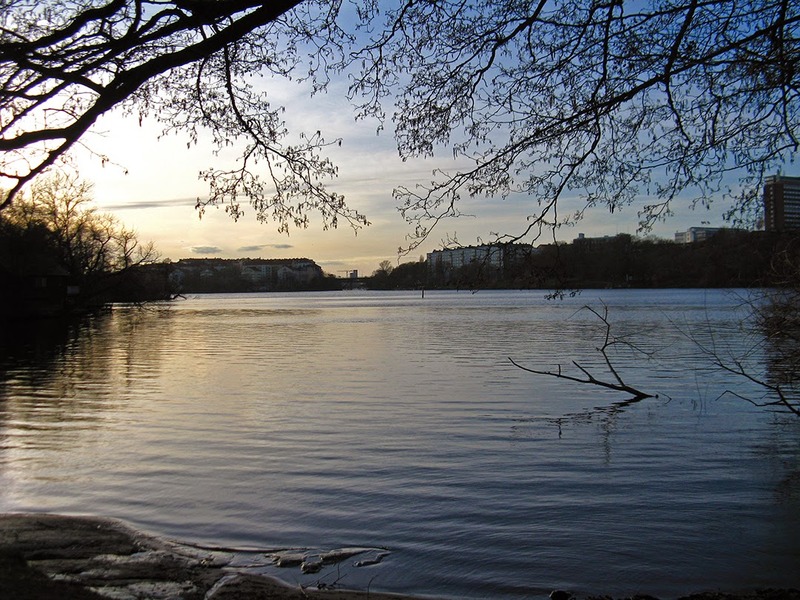 Sabbatsbergs Tull guards the same canal between the island of Kungsholmen and the mainland, but it is much farther in-town than Västra Sjötull. The toll was given the name Sabbatsberg due to its location near Sabbatsberg Poorhouse. The original 1807 toll building received an addition by City Architect Gjörwell in 1831. Today there is no trace of this toll station as the area has long since been swallowed up by railroad tracks at Stockholm’s Central Station. Much like the other Lake Tolls, Sabbatsbergs Tull has not had a lasting impact on Stockholm’s urban landscape. Left: An 1869 photo of the tollhouse. Right: The current view from the tollhouse location. 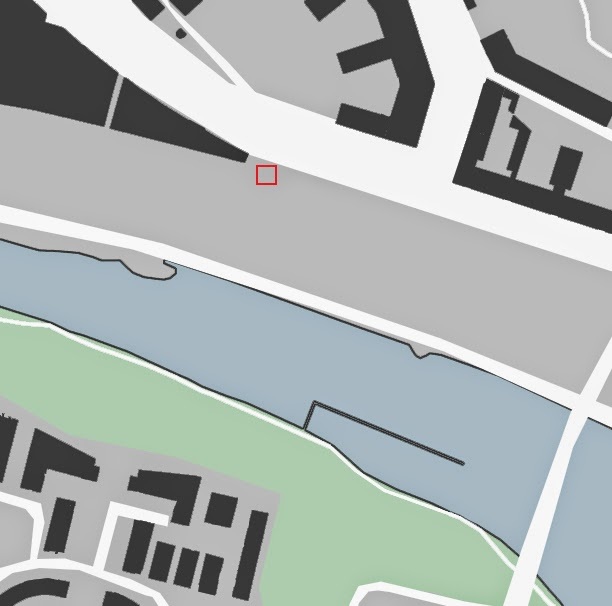 I find it fascinating how little the Lake Tolls have impacted Stockholm’s urban development when the Land Tolls have made such a clear mark on the city, especially considering that many of the Lake Tolls buildings are still standing and only one of the Land Toll buildings survives today. 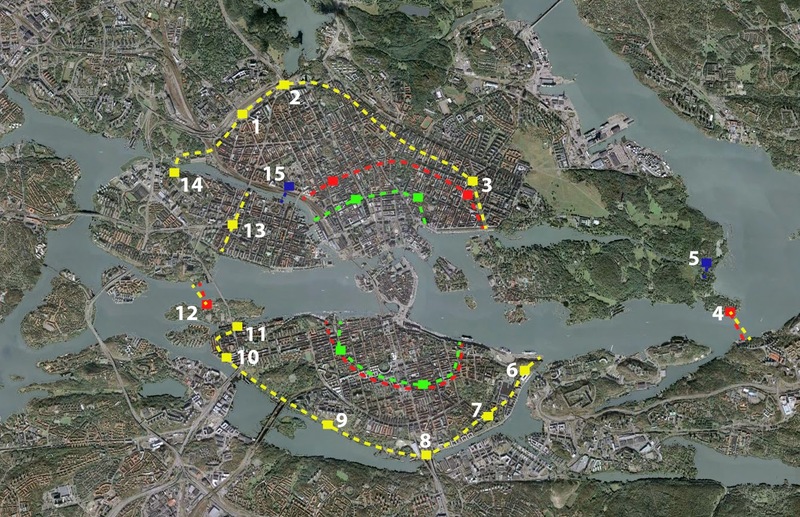 Today, the Land Toll locations are almost all important intersections where suburban highways lead into the dense urban fabric of downtown Stockholm. Due to the highways, many of the Land Toll locations are unpleasant, pedestrian-unfriendly intersections that are highly unwelcoming entrances to the city—exactly the opposite impression that City Architect Carlberg was trying to create with his new toll houses in the mid-1700’s. Although it is unfortunate that the Land Toll locations are generally suburban tangles of highways, a human-scaled, pedestrian-friendly, dense urban environment awaits just inside the old toll fence locations. The transition from suburb to city is sudden and abrupt. On the island of Södermalm, this transition is softened by the water—the transition from suburb to city feels more natural when a water crossing is involved. But on the northern edge of town, there is no water crossing to temper the transition, and the shift is much more obvious. Amazingly, most of these suburb/city transitions have not been blurred even though the toll fences were demolished 150 years ago. 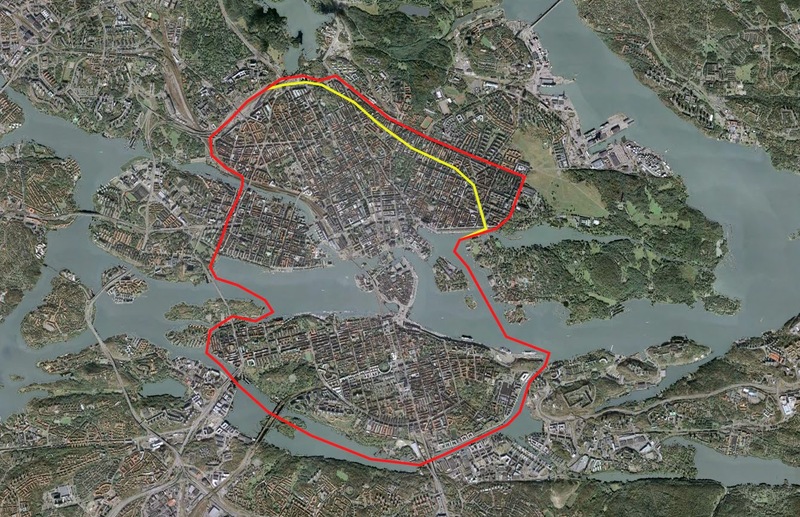 However, several new developments including Hagastaden and Hornsberg are currently expanding the dense, urban environment past the toll fences. 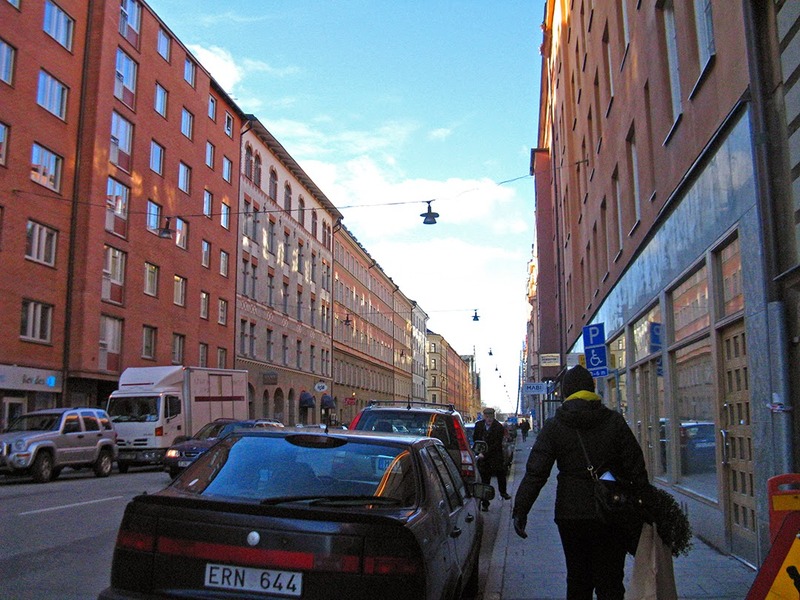 In the past 15 years or so, Stockholm’s expansion efforts have changed focus from developing the suburbs to developing under-utilized areas of the in-town area. It will be interesting to watch how the new focus blurs the line of what has traditionally been known as “downtown.” I am curious where the new “downtown” boundary will be drawn, and I suspect that in many cases, water will serve to define the transition between in-town and suburban. Slowly but surely, the impact of Stockholm’s tolls on the urban landscape will be diminished, and the impact of geography will only increase. -I have gathered much historical information as well as names and dates from Jan Berggren’s Alla tiders tull i stan. The old photographs in my post come from this book. -Drawings of City Architect Carlberg’s toll houses came from Henrik Ahnlund’s Johan Eberhard Carlberg, Stockholm stads arkitekt 1727-1773. 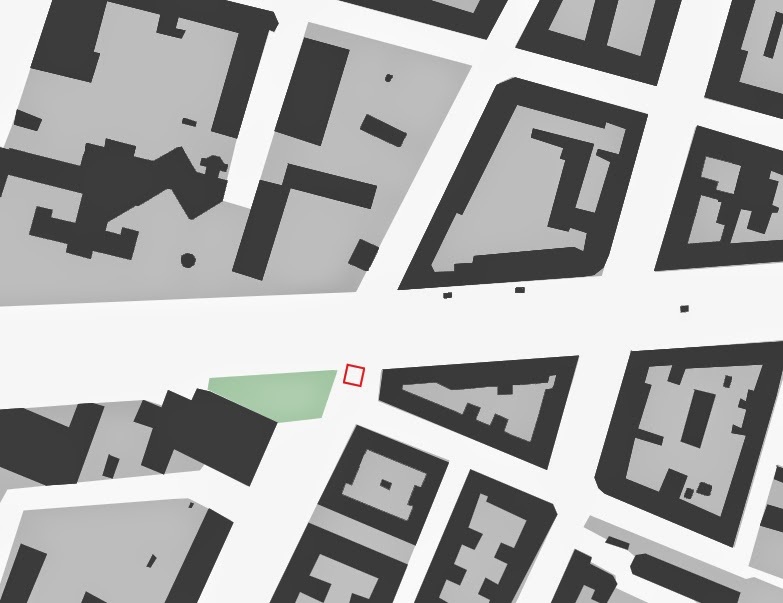 -Location of the tollhouses in my maps are approximate. I compiled location information from Jan Berggren’s Alla tiders tull i stan as well as from the maps in Stockholm's Tull Museet. Information from these two sources is not 100% consistent, and some of the archeological findings are contradictory, so I have taken a stab at "averaging" the locations.